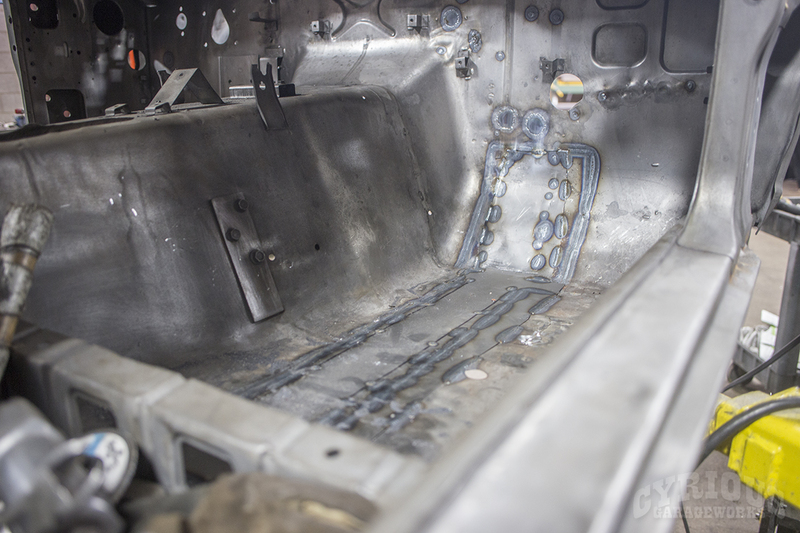 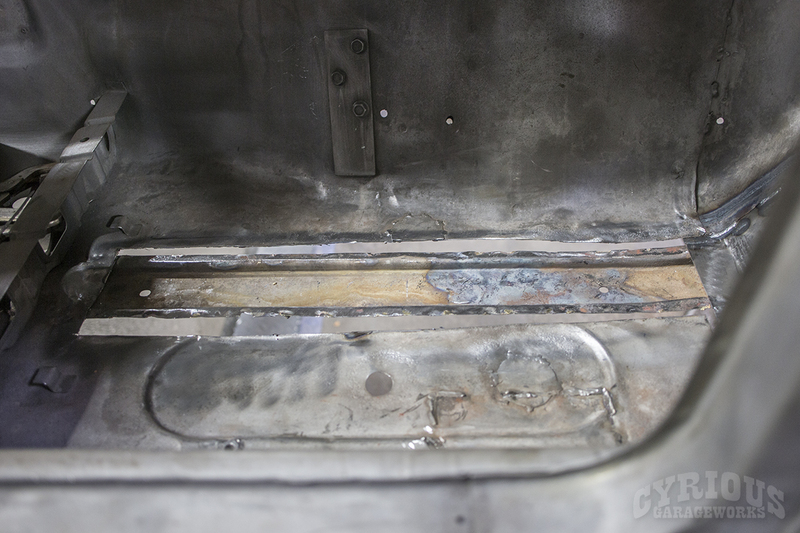 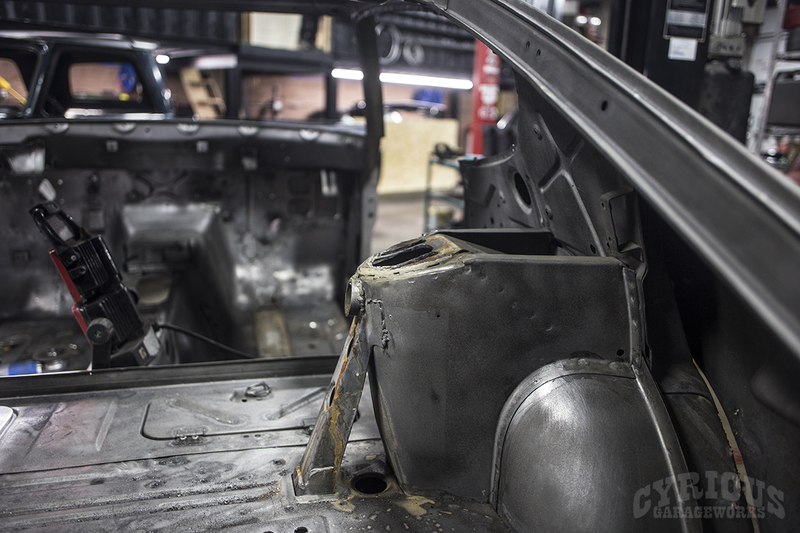 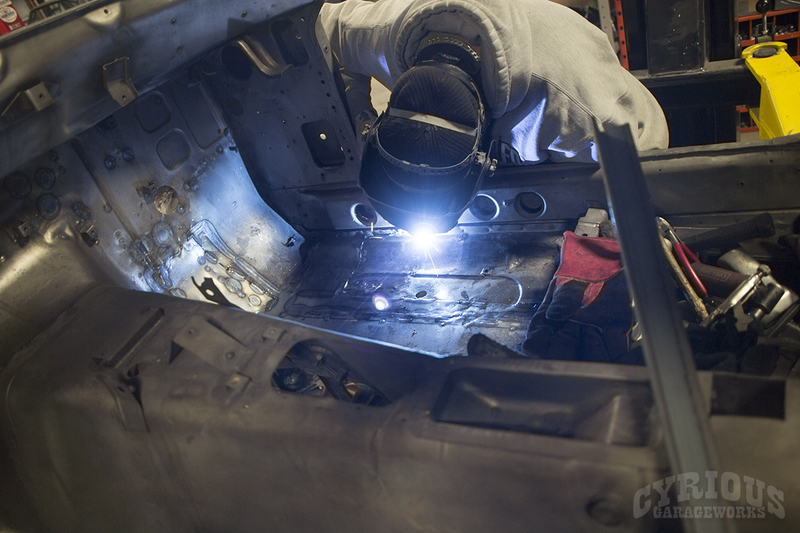 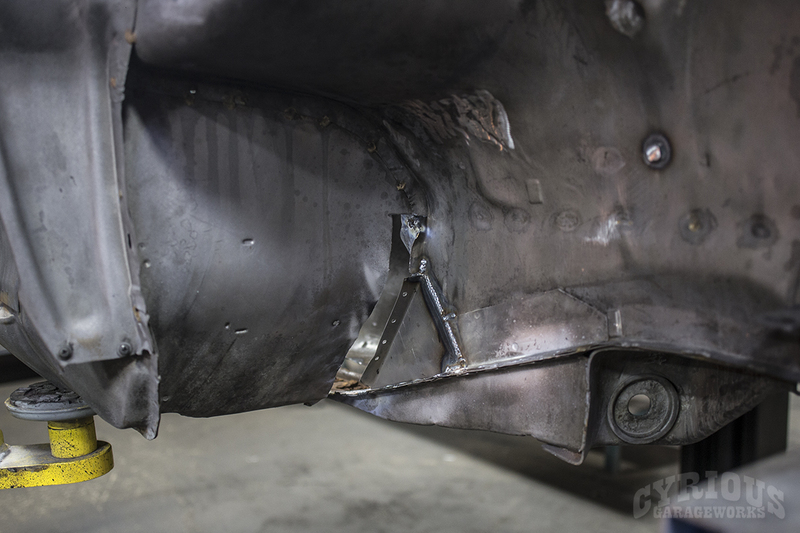 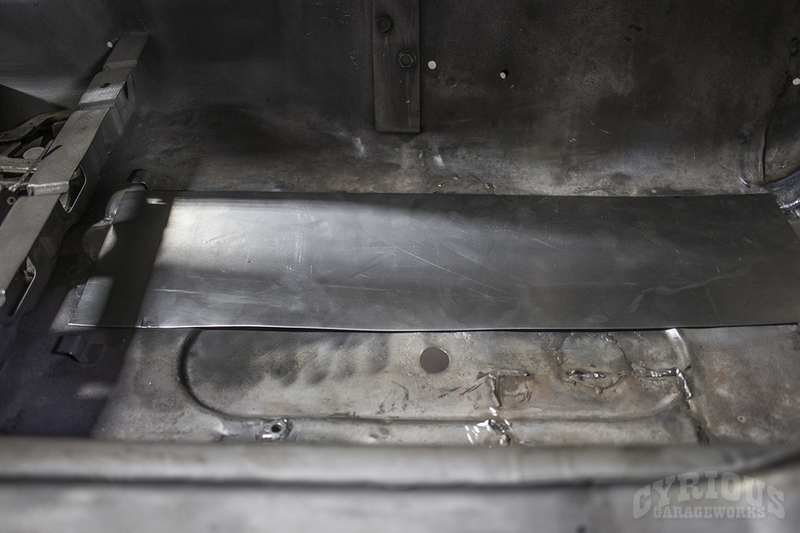 Keen eyed observers may have noticed that we are not replacing the entire floor pan in this 240z, and are instead using fairly plain looking patch panels. 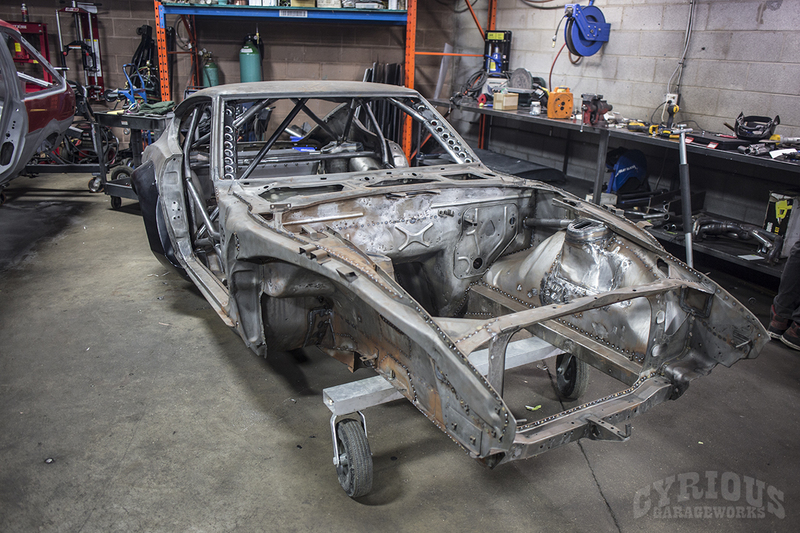 There are a couple of reasons for this: first is that with this being a race car, there really is no need to spend the extra hours making factory style concourse quality restored panels. 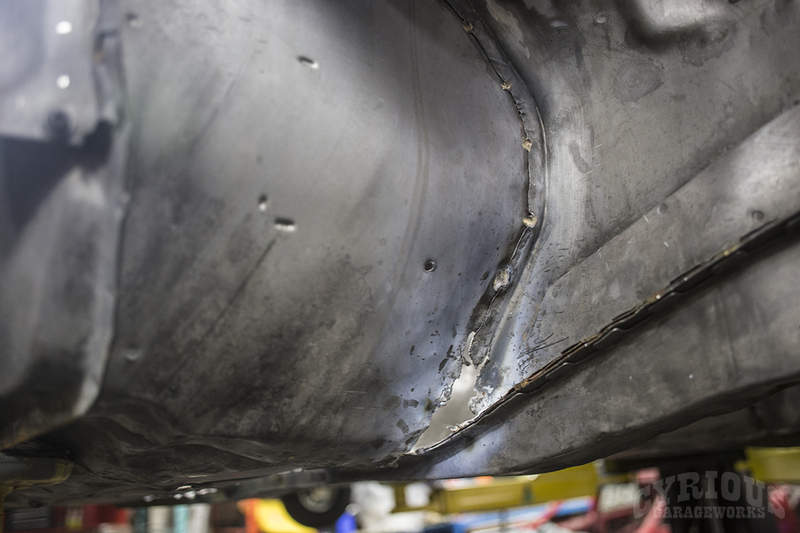 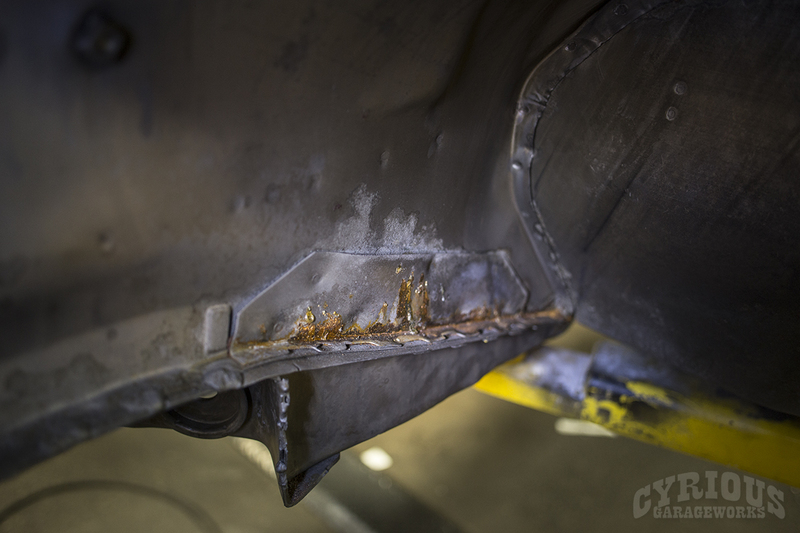 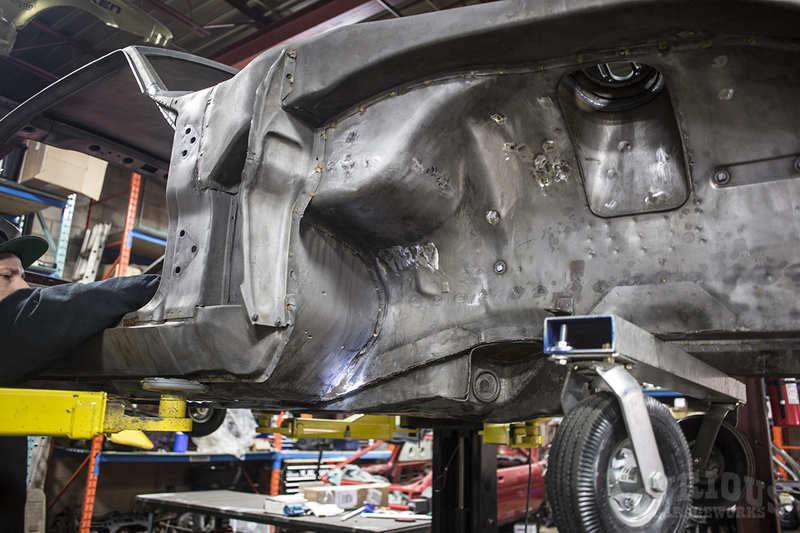 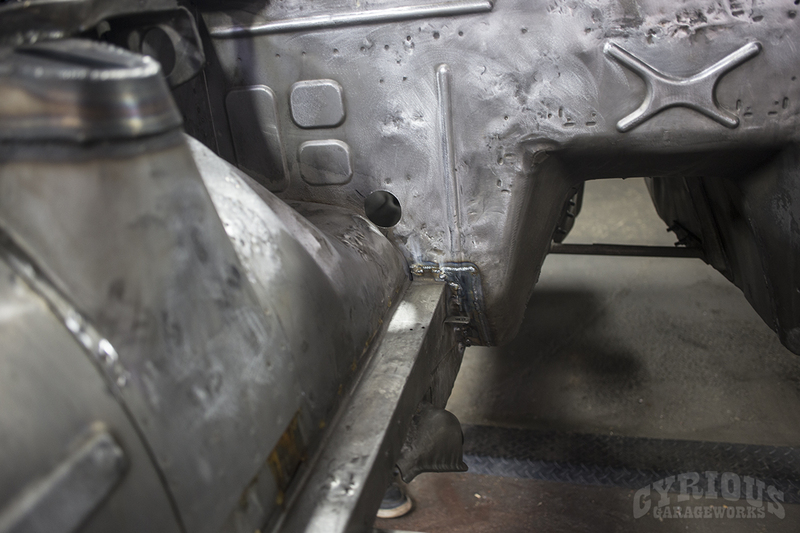 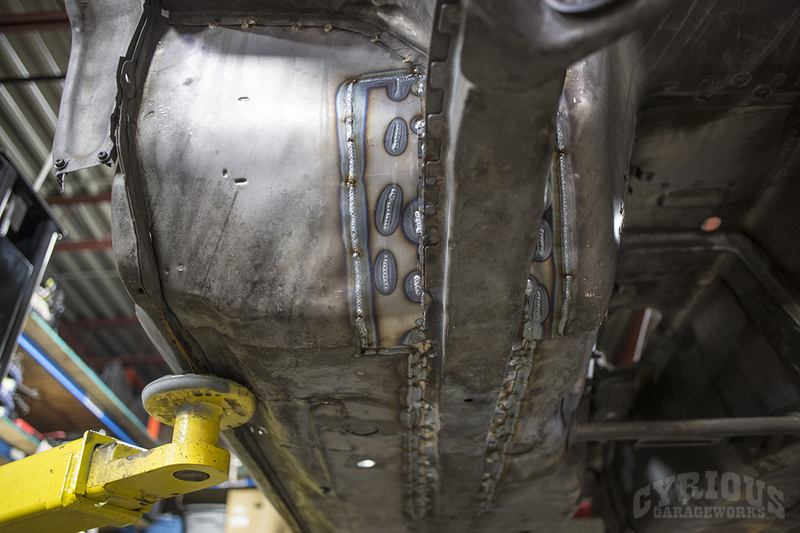 Second is that there is actually enough good metal left in the floors of this car that they don’t need to be replaced entirely to maintain structural rigidity.